Today is “Black Friday” and we are here to save you from it if you’ll let us. Here’s the idea: Instead of getting trampled to death in some mall, spend a few minutes on our site, order a gift certificate for someone you love, then take the rest of the day off. Maybe go hiking. It’s a perfect gift. 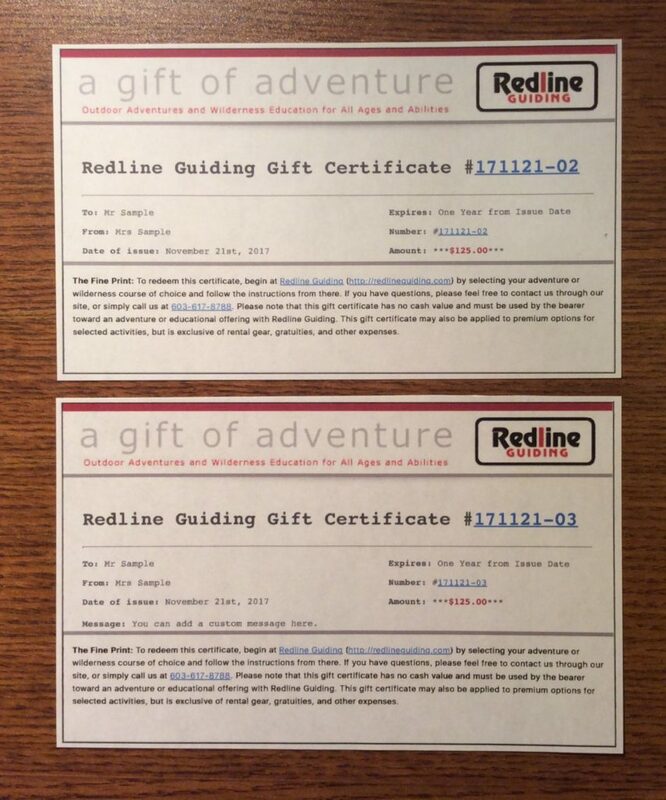 A gift certificate from us is good toward any of our outdoor adventure offerings and wilderness education courses. The ideal gift for someone who likes to hike or spend time in the backcountry, or wants to learn how. Order a gift certificate today before midnight and we take 10% off of the declared certificate value. That makes your shopping not only faster and easier, but you’ll save some of your hard earned money in the meantime. Remember, this offer expires at midnight — though our gift certificates are available at any time.